The ELEPHONE brand is no stranger to the constant teasing of new smartphone models, but quite often they are slower with their converting to real market models than we would like. And today they have released yet another small video featuring one of the promised upcoming models, this time most probably the ELEPHONE A7 with a punch-hole display design (located right in the middle). The video is not showing much and all that is known about the phone is the fact it will have 6,41-inch display and probably a side fingeprint scanner. Not much right ? 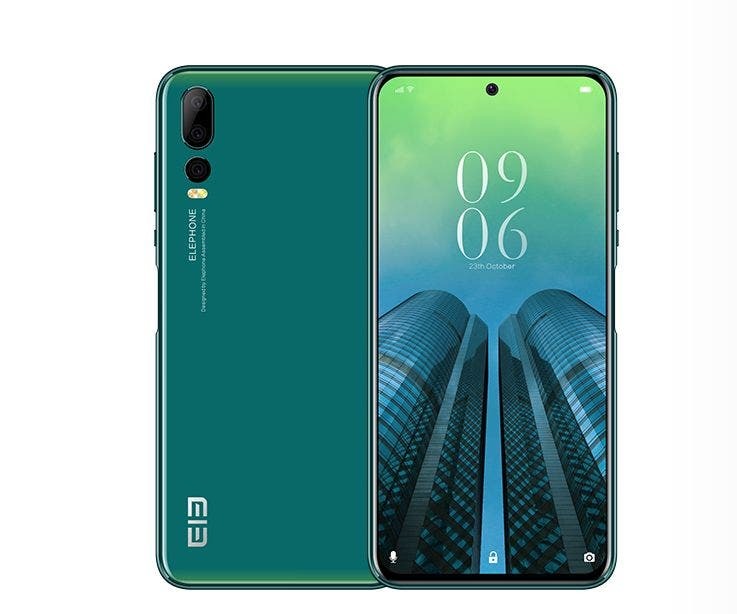 Guys from ELEPHONE are still owing us the long promised flagship ELEPHONE U2 with pop-up selfie camera, triple rear cameras and 6,26-inch panoramic screen. But according to the latest bits and pieces of information the phone should be finally released in May. Interestingly enough, there is a newcomer listed on their website in the form of ELEPHONE P11 3D with “naked-eye 3D”, whose first information date back to April 2018. Catching up or a mismatched posting ? 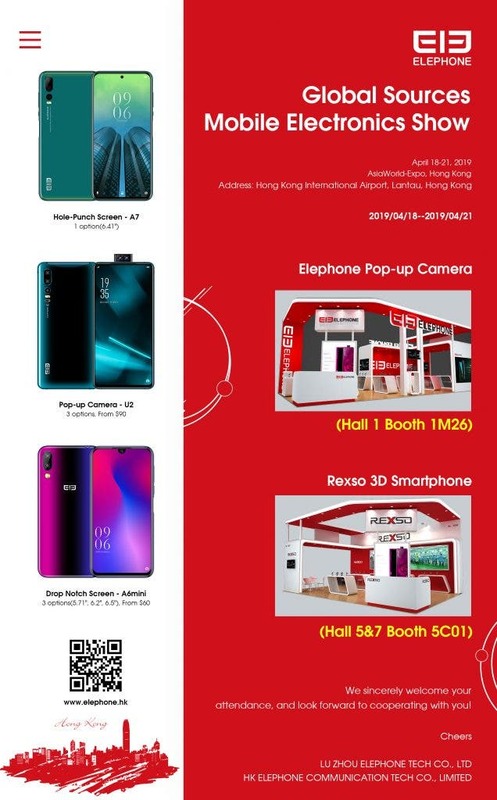 There is also a Global Sources exhibiton coming up in HongKong just in few days and ELEPHONE already promised to attend and showcase pieces like the punch-hole A7, pop-up camera U2 or the already released A6 Mini there. In the invitation flyer they also have listed the Rexso 3D smartphone, but no idea about the actual link or any details. Anyway if you will have a jouney to HongKong on April 18th – April 21st then you can stop by their booth 1M26 in Hall 1 and check out the new stuff yourself.